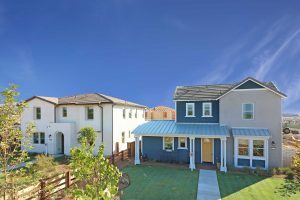 New construction home in California or existing home? That’s the question homebuyers are asking themselves more and more often. The answer is increasingly pointing toward the idea that “newer is better,” as the many advantages of owning a home no one has ever lived in is tempting buyers, leading them to happily forgo the pitfalls of resale homes. If you’ve never considered buying a brand-new home, we have six reasons you might want to consider this increasingly popular real estate trend. Among the advantages of buying a new construction home in California are the opportunity to personalize the home to your liking and the potential for greater value. Finding the right floorplan in a resale home is a challenge. More than likely, you’ll have to renovate the kitchen or the bathrooms—or both—and knock down a wall or two to get the openness you’re looking for. And, there’s no telling what you’ll find behind those walls (If you’ve ever watched HGTV, you know what we mean!). Instead of pouring thousands and thousands of dollars into an older home to try to get it to work for your needs today, buyers are choosing to go the new construction route. 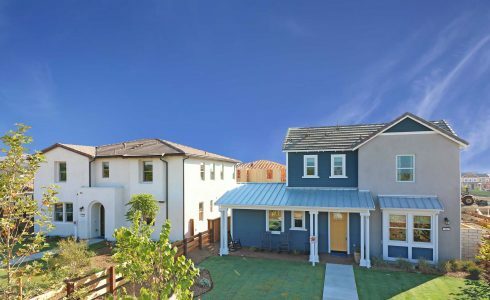 A new construction home in California typically allows you to choose from several floorplans in each community and often also select floorplan options to further personalize the home. Even if you don’t need to overhaul the floorplan of a resale home, and even if the home has been updated, that doesn’t necessarily mean it matches your taste and style. Maybe you’re not a fan of the countertops or the color of the floors, and you definitely want to change out all the fixtures in the kitchen and bathrooms. You’ll probably have to pay a premium for a renovated home, too, so now you’re talking about pouring more money into something that’s already up there in price. With a new home, you get to make the choices that suit your style. Plus, there’s just something special about knowing you’re the first people to live in a home and make memories there! It never fails that the air conditioning conks out or the plumbing starts leaking the week after you move into your resale home—and these are always things that didn’t show up in the home inspection, which means you’re on the hook to pay for repairs! That’s one of the downsides of buying an older home: You never know when something is going to go wrong. An older structure could have years of undetected issues, and age and wear and tear will mean you’ll probably have to replace things like the hot water heater, appliances, and roof within a short period of time. With a new construction home in California, you get a home warranty to take care of any issues that may arise. Today’s homes are more energy-efficient than those built even a few years ago. Not only does that mean a lower footprint, but also, “Newly built homes lower bills today for immediate savings,” said New Home Source. A tighter building envelope means that less air has the chance of escaping, which lowers the cost of heating and cooling the home. Appliances used in new homes today are also far more efficient than older models, further reducing utility costs. Those who have never purchased a new construction home may not realize the value involved, or may think that newer equals more expensive. Prices for new homes are often similar to those of older homes, and when you consider the value of having brand-new everything, many buyers find that there is just no comparison. For more information, visit Williams Homes. This acclaimed California builder was founded in 1997 on the principles of integrity, trust, and partnership and has continued to thrive as one of the state’s fastest-growing homebuilders. Williams Homes was the proud recipient of the 2013 Builder of the Year Award by the Building Industry Association. Williams Homes has built and delivered hundreds of homes all over the state ranging from $159,000 to in excess of $1,000,000, building long-lasting relationships with homebuyers who often seek out another home from the builder when it’s time to move up or move on.